On this little website, anyone can use the link Submit a Pic and send me pics, information, tips, or whatever. If you want to look at what pics people have sent me in the past, visit StarbucksMoments.com. Very recently this adorable photo was sent to me, and I wanted to share. So sweet! 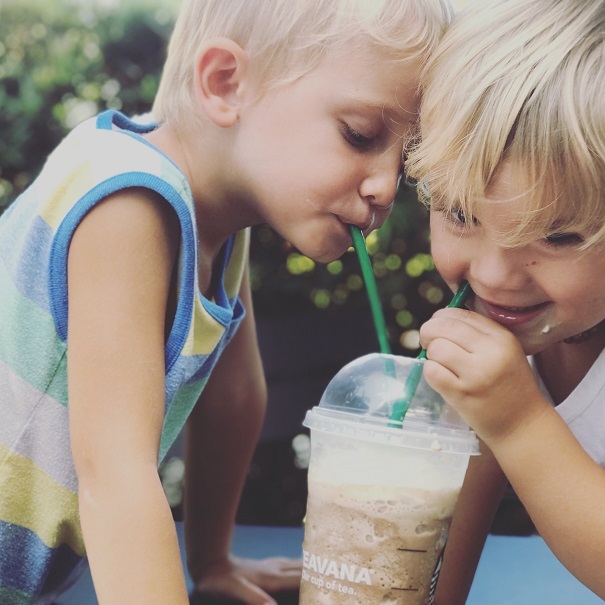 Brothers enjoying a Frappuccino together. I hope that you too will send me your favorite pic, and take a look at StarbucksMoments.com.